David Chen, MD, has been at the Rehabilitation Institute of Chicago since 1996, where he is Vice Chief of Staff and the Medical Director of the Spinal Cord Injury Rehabilitation Program. 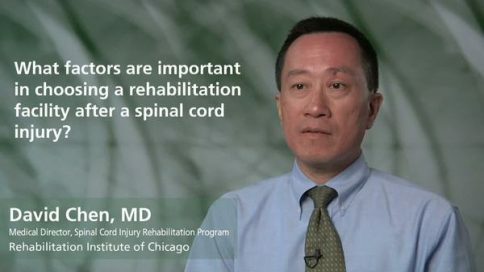 Since 1993, Chen has been the project director of the Midwest Regional Spinal Cord Injury Care System (MRSCICS), which is sponsored by the National Institute on Disability and Rehabilitation Research (NIDRR) to provide federal funding to establish innovative projects for the delivery, demonstration and evaluation of comprehensive medical, vocational and other rehabilitation services to meet the needs of individuals with spinal cord injury. Dr. Chen is an Associate Professor of Physical Medicine and Rehabilitation at Northwestern University School of Medicine. 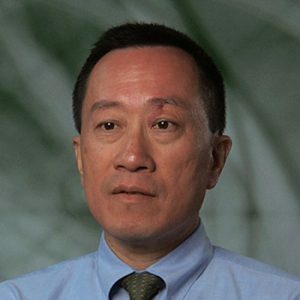 His fields of expertise are Cerebral Palsy, Orthopedic Conditions, Spasticity, Spina Bifida and Spinal Cord Injury. He Studied at the University of Illinois College of Medicine, Chicago, Illinois and did his residency at the Northwestern University Medical School, Chicago, Illinois. Why is the level of a spinal cord injury important? What role does “compression” play in a spinal cord injury? Why are high-dose steroids often used right after an injury? What is meant by an “incomplete” spinal cord injury? 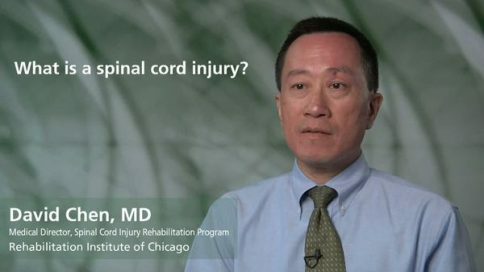 What is meant by a “complete” spinal cord injury? What are the chances of regaining feeling and mobility after a spinal cord injury? How long does it usually take for feeling and movement to return after a spinal cord injury? What kind of surgery is common after a spinal cord injury? How soon after a spinal cord injury should surgery be performed? Is it common to experience neuropathic pain after a spinal cord injury? What factors are important in choosing a rehabilitation facility after a spinal cord injury? What is the “Spinal Cord Injury Model Systems” program? What are the most promising new treatments for spinal cord injuries? What are the latest developments in the use of electrical stimulation for spinal cord injuries? 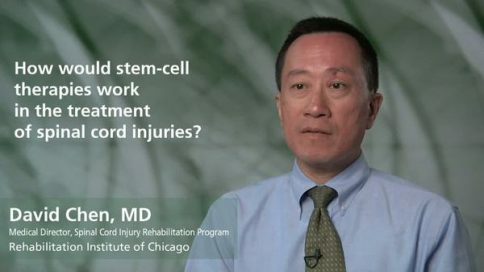 How would stem-cell therapies work in the treatment of spinal cord injuries? What does stem-cell research on animals tell us? 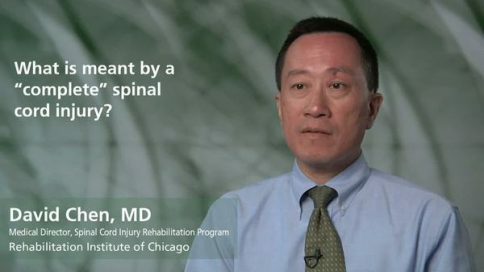 When can we expect stem-cell treatments to become available for spinal cord injuries? How promising are stem-cell treatments in countries outside the US ?